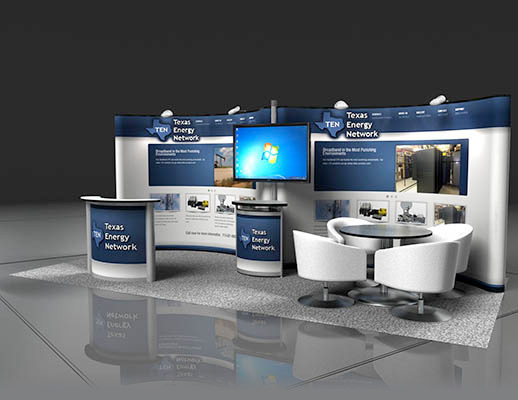 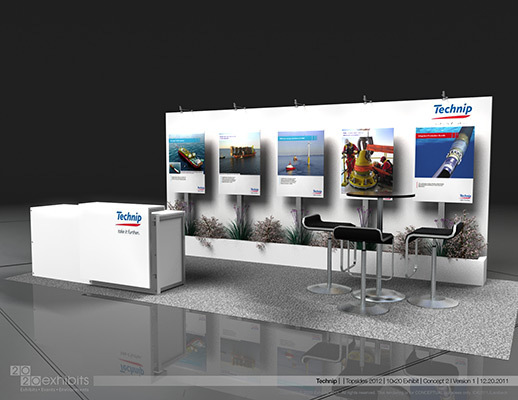 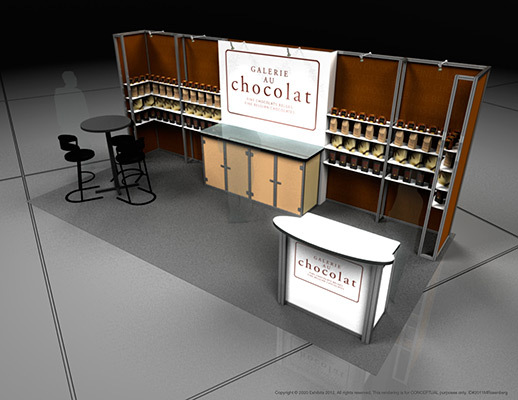 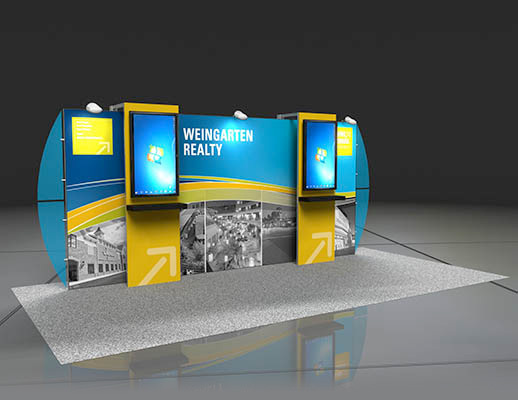 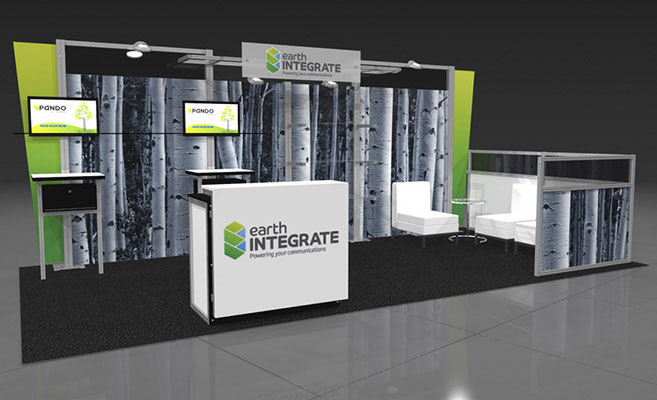 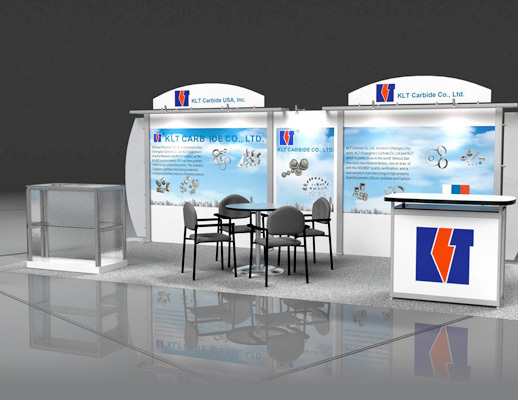 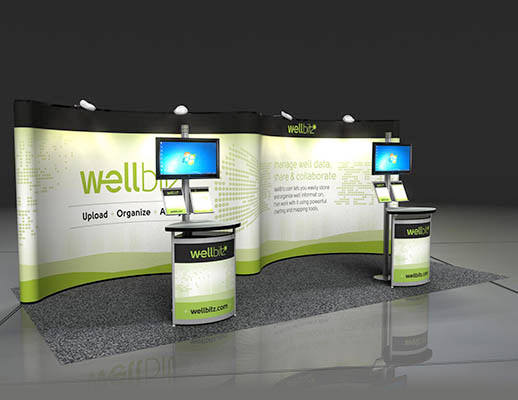 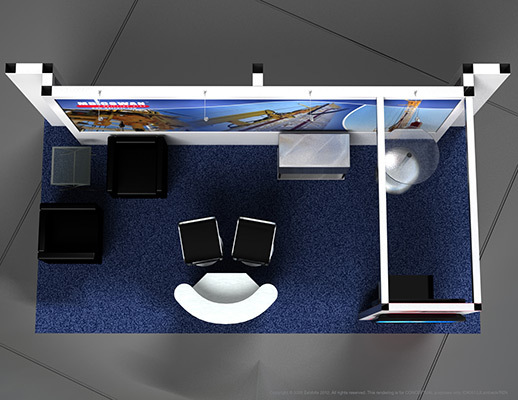 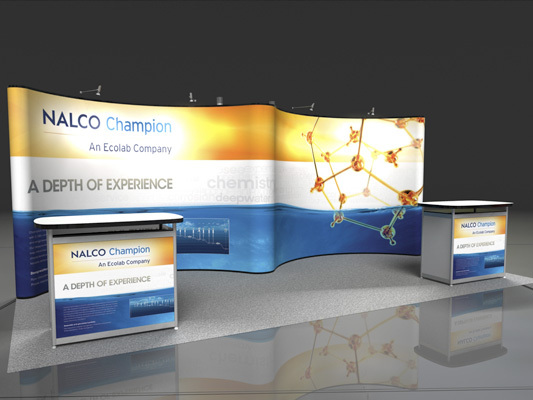 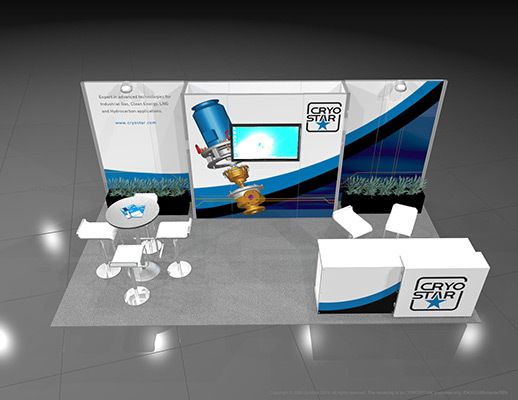 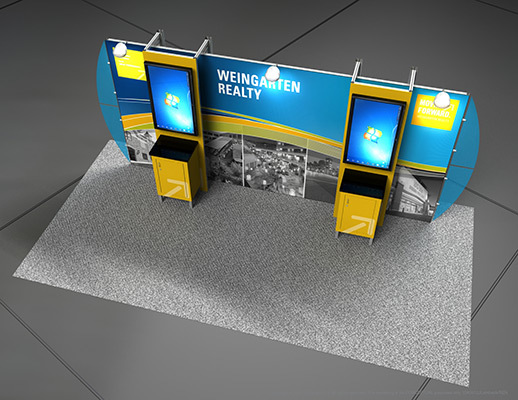 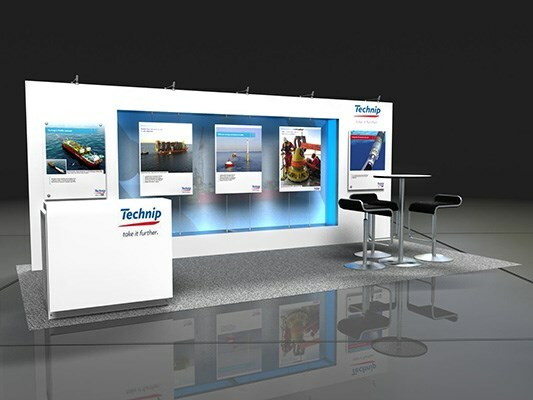 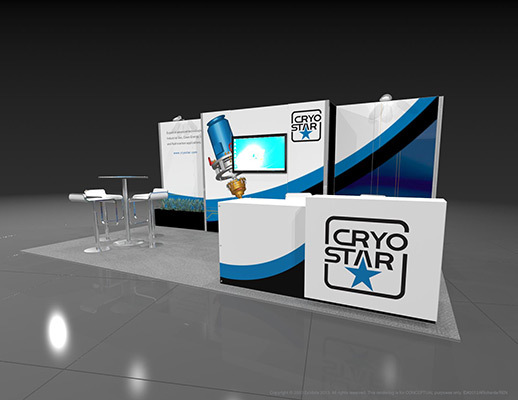 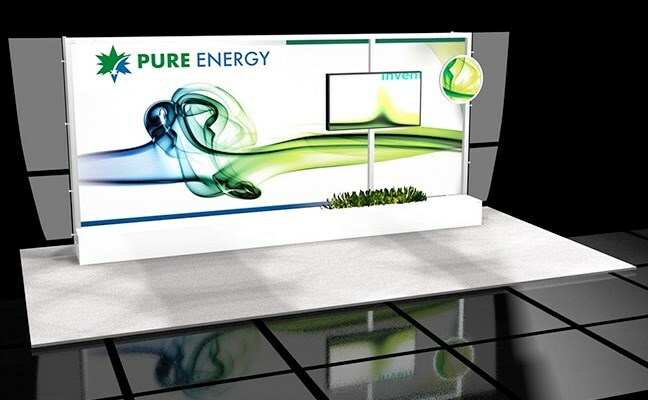 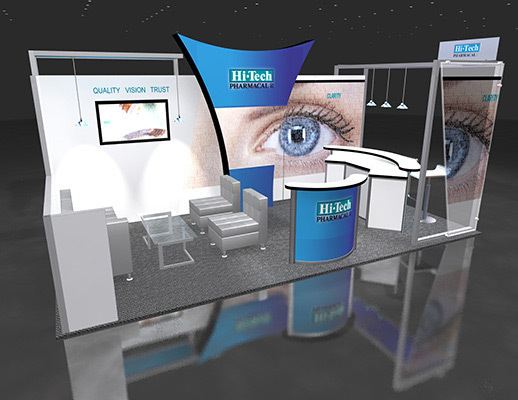 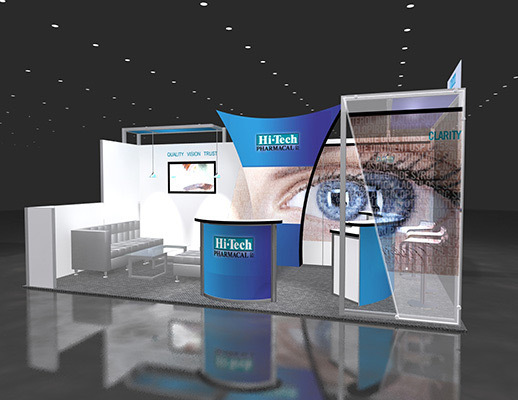 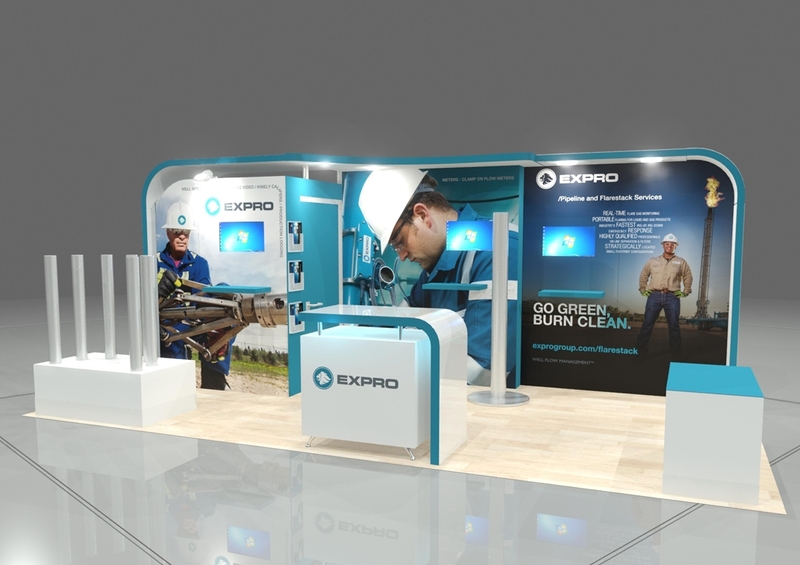 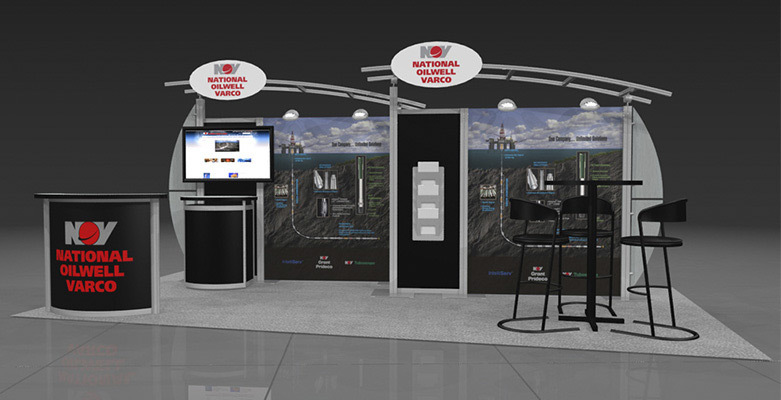 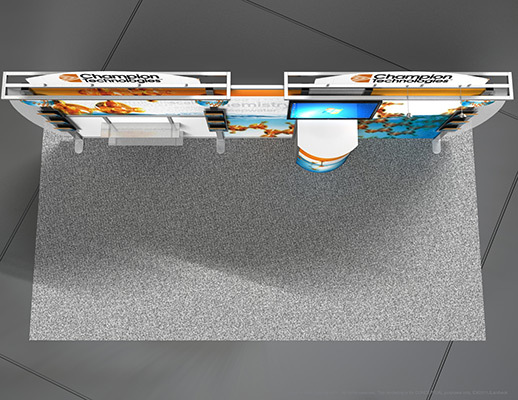 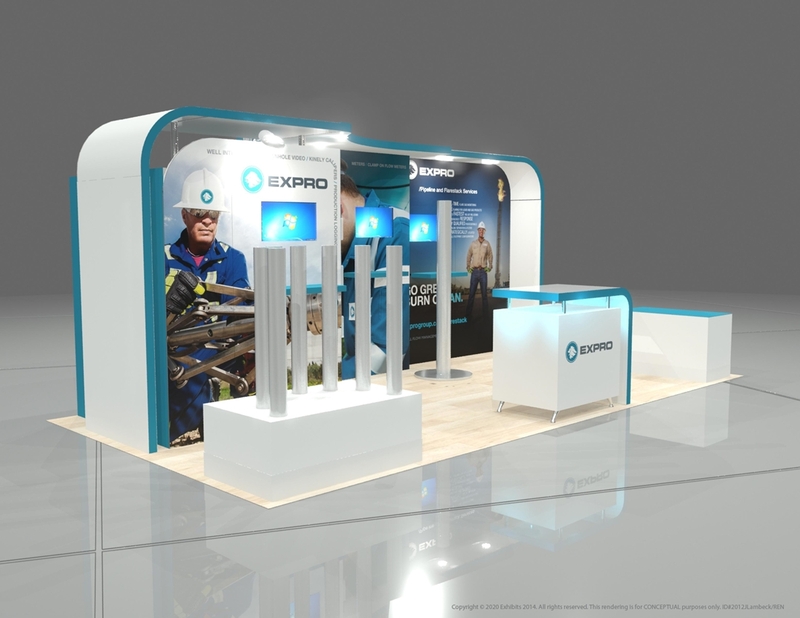 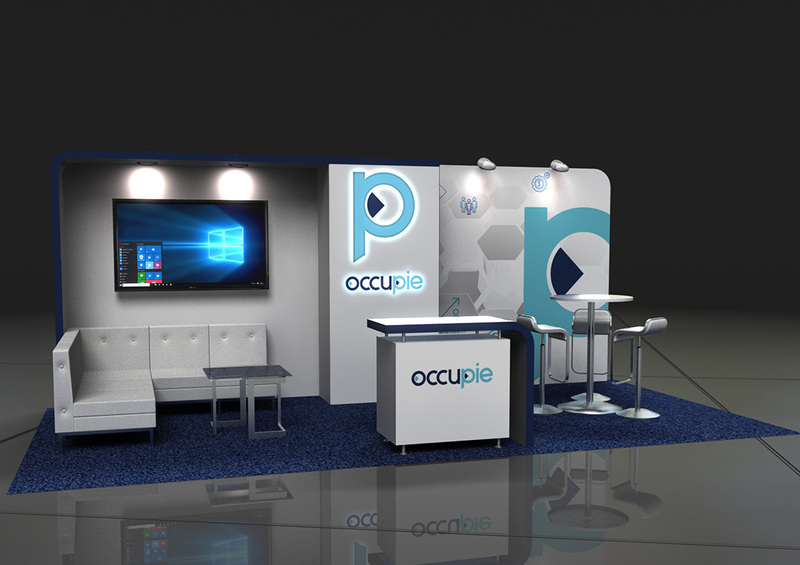 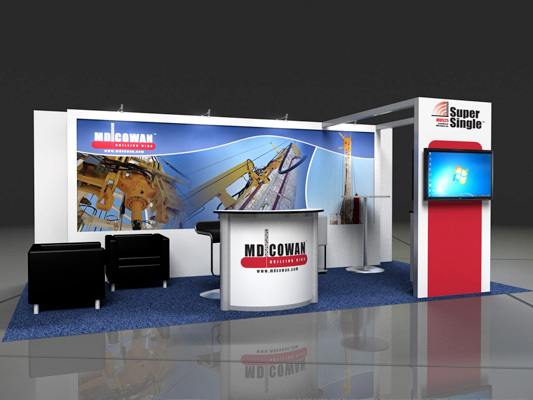 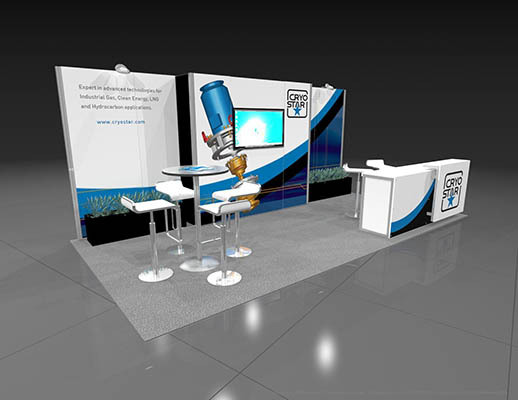 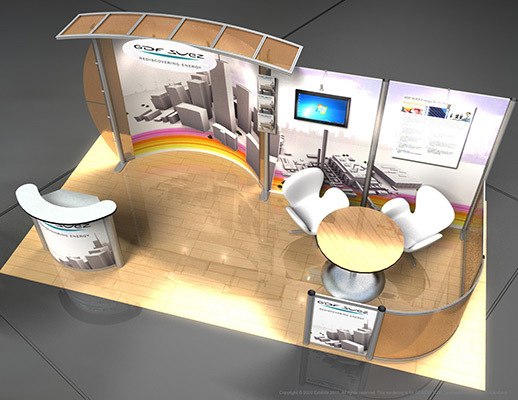 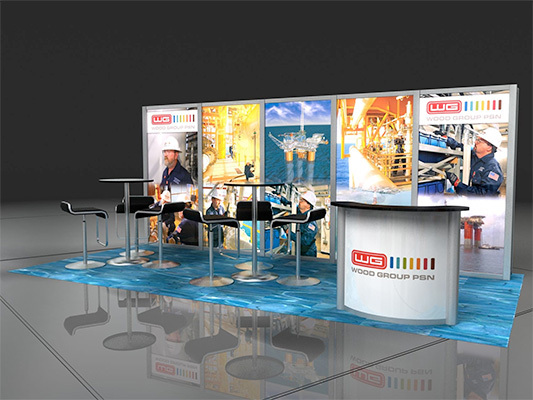 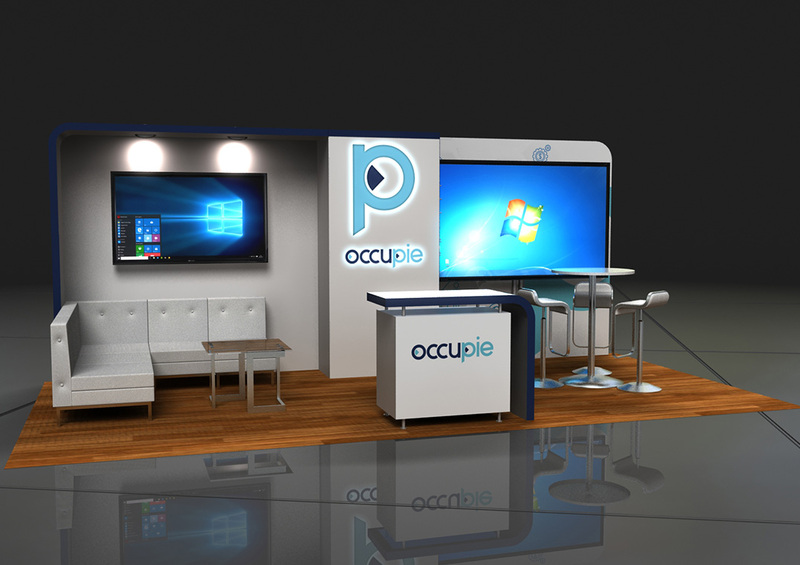 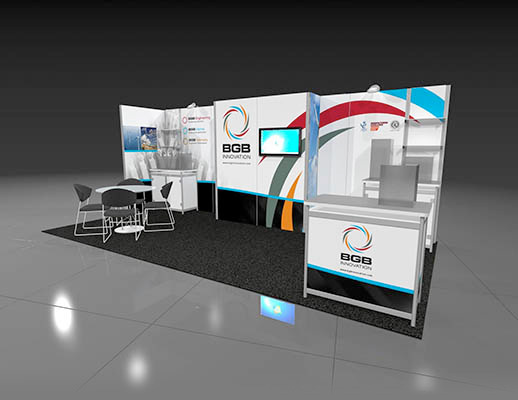 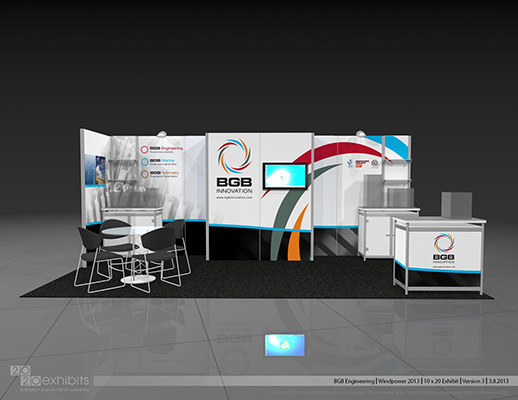 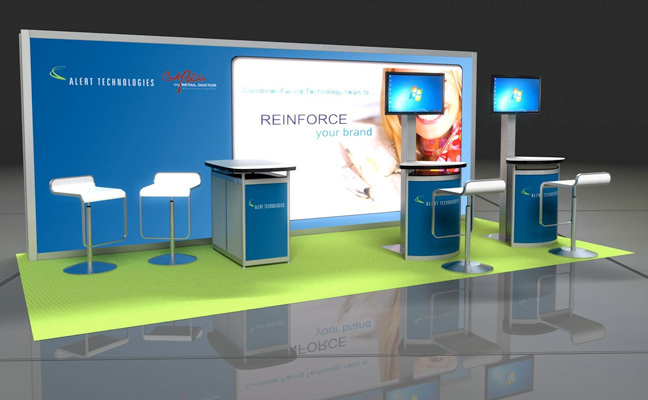 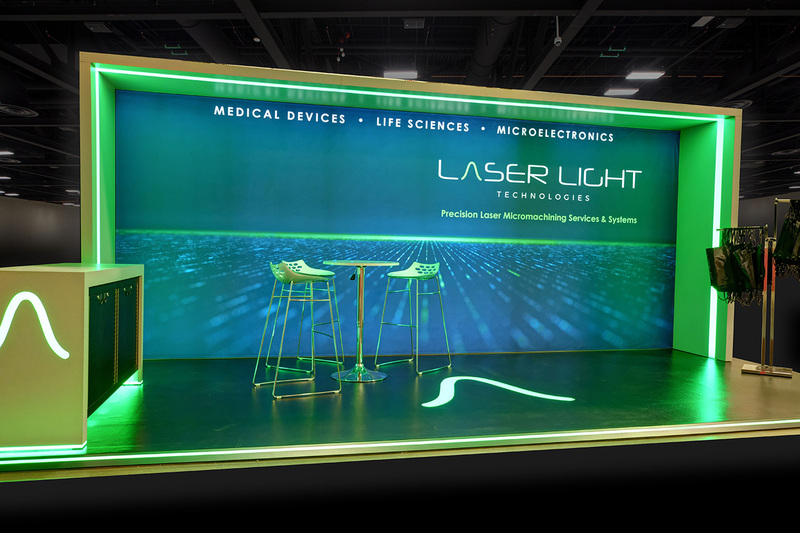 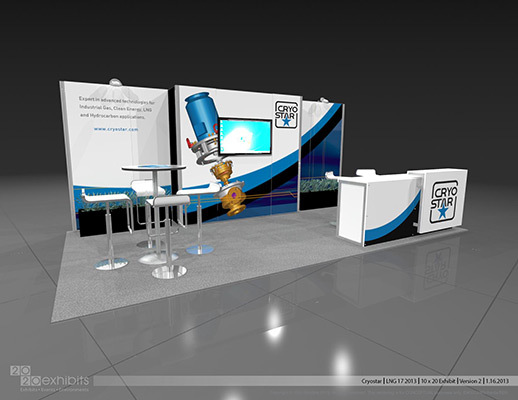 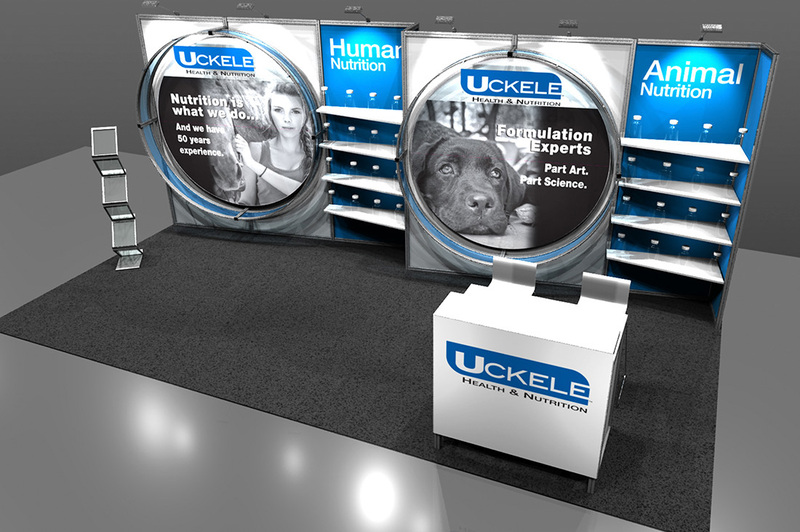 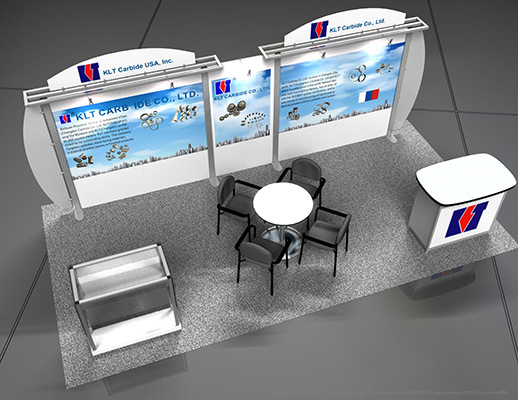 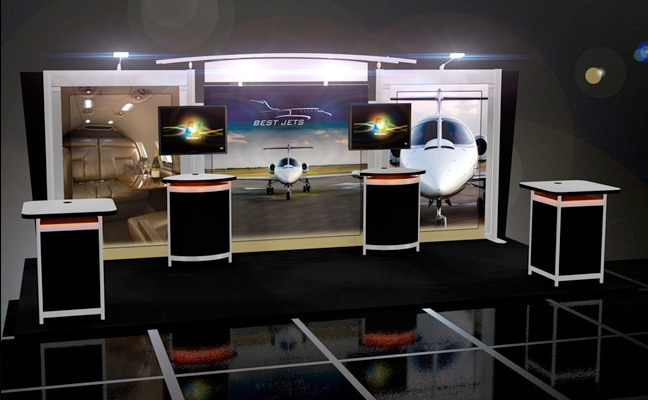 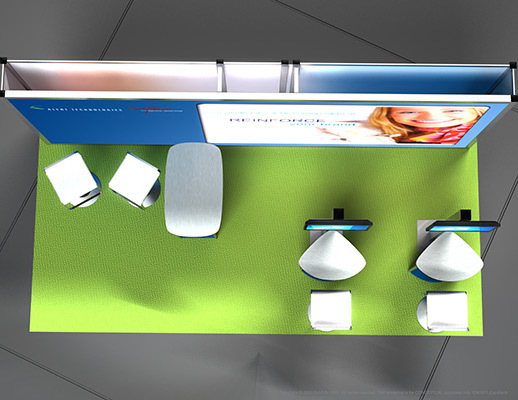 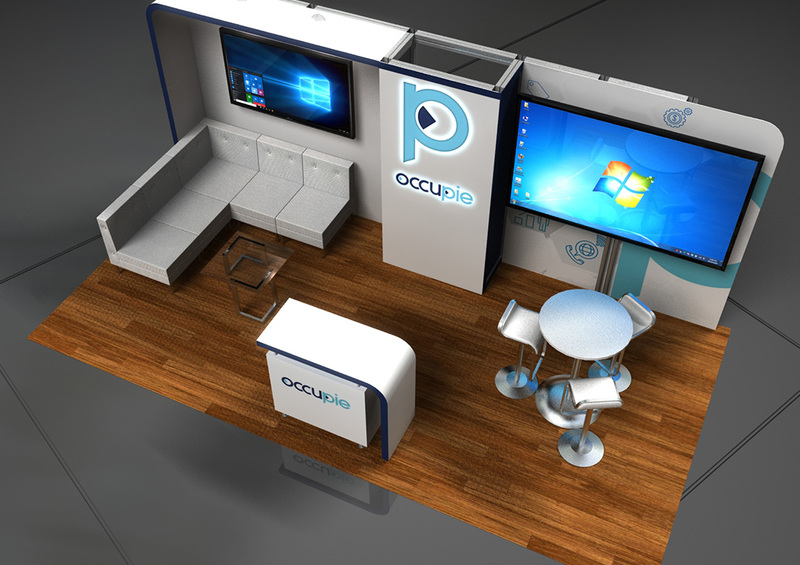 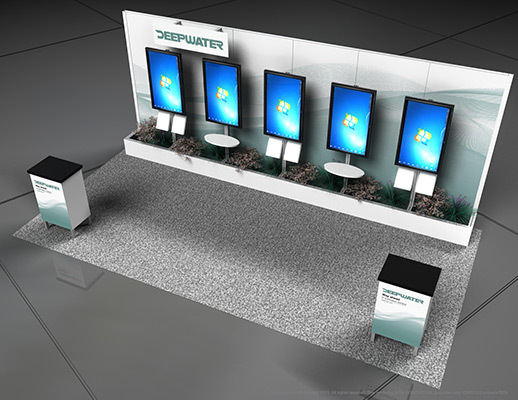 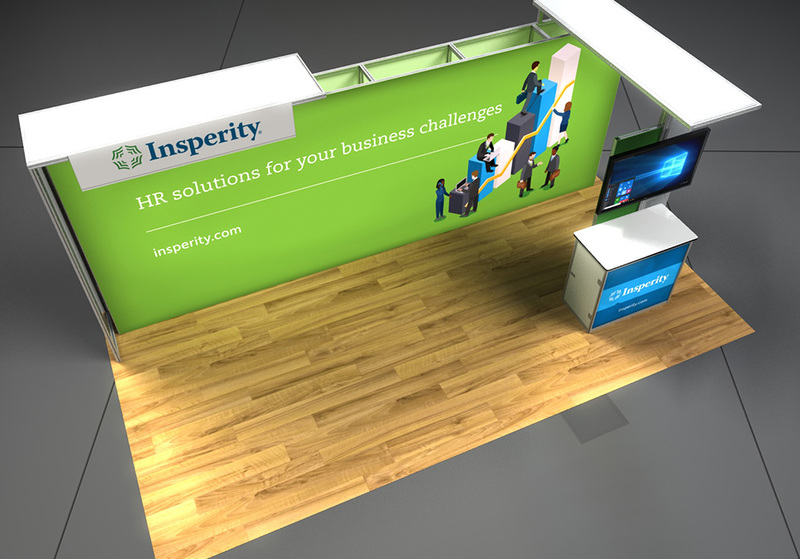 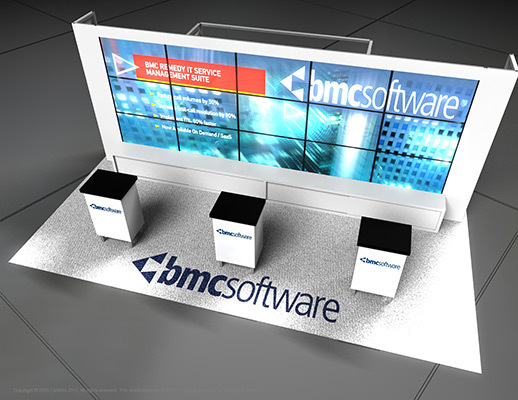 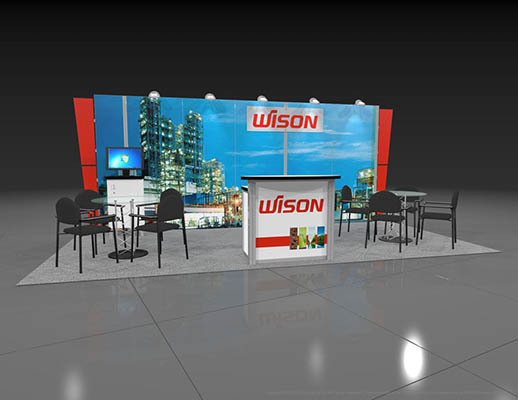 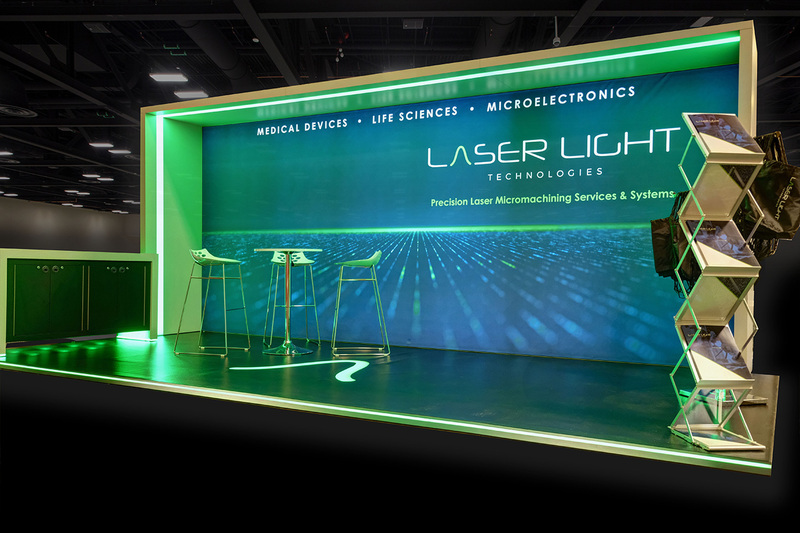 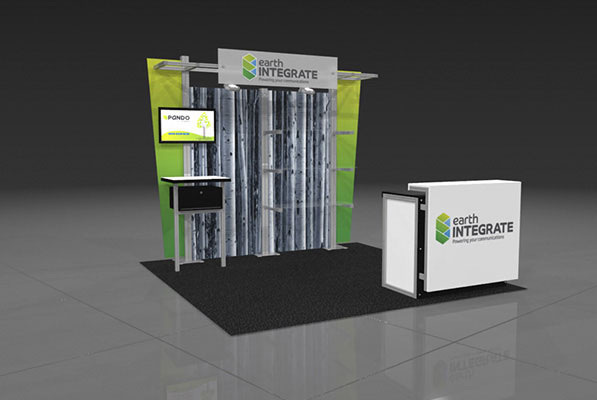 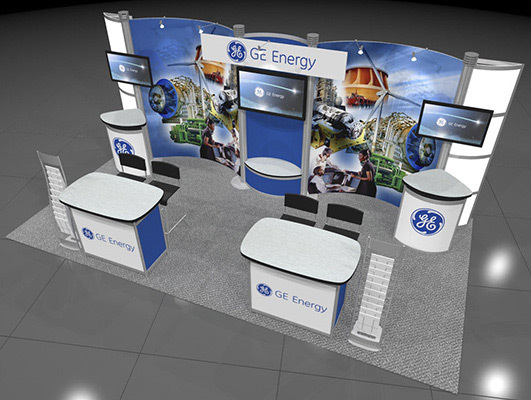 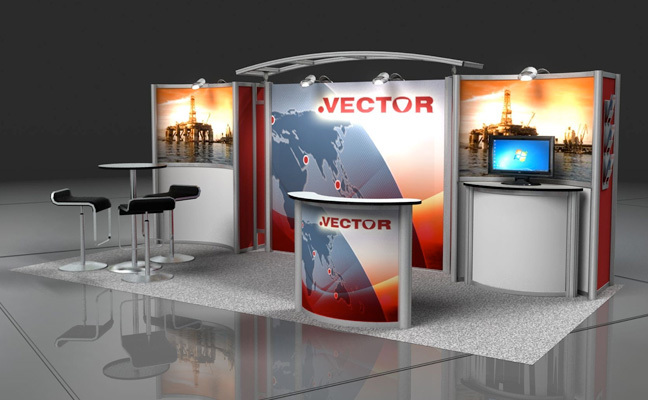 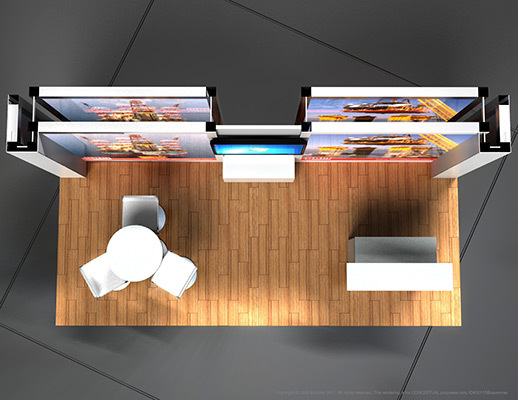 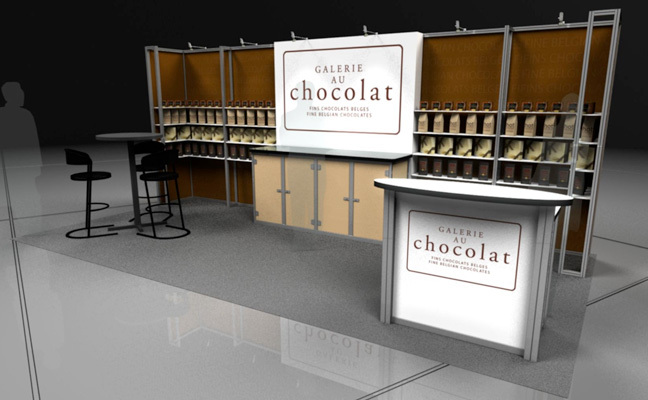 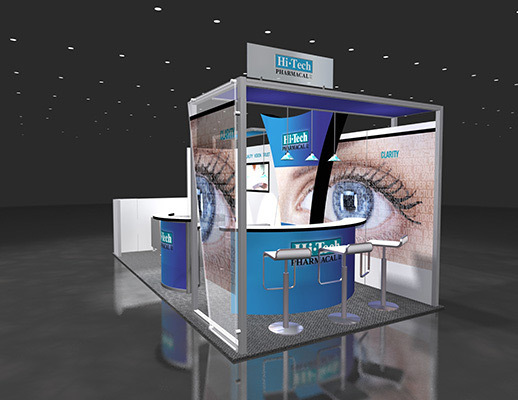 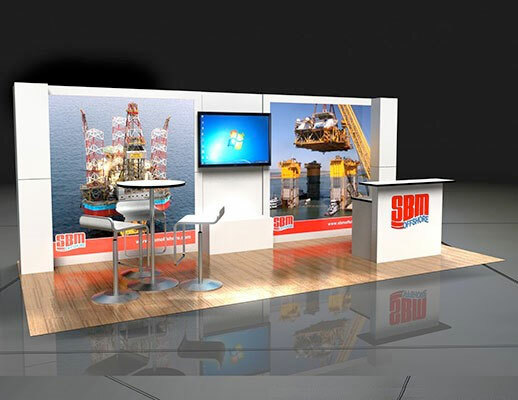 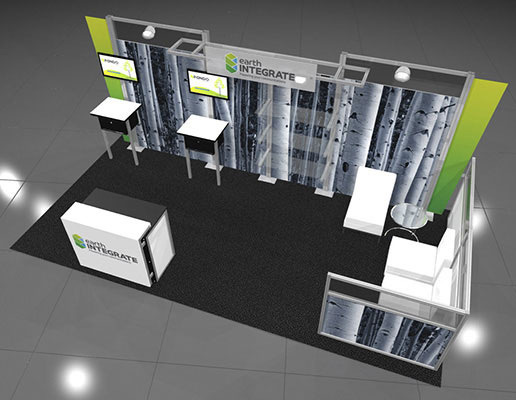 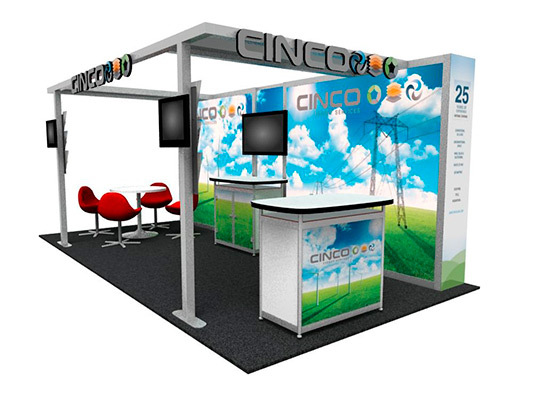 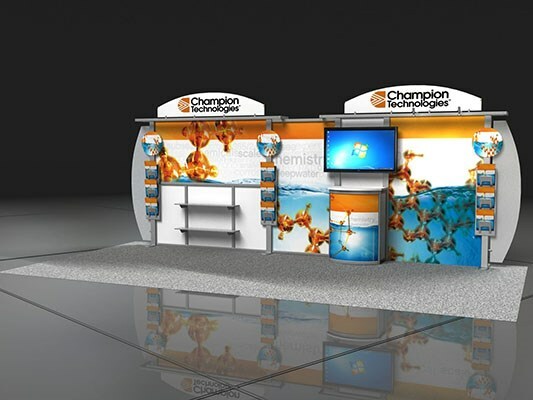 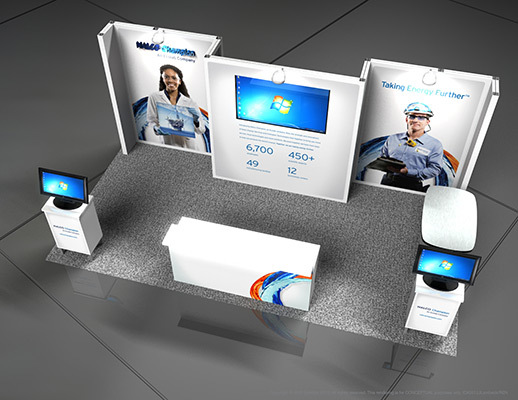 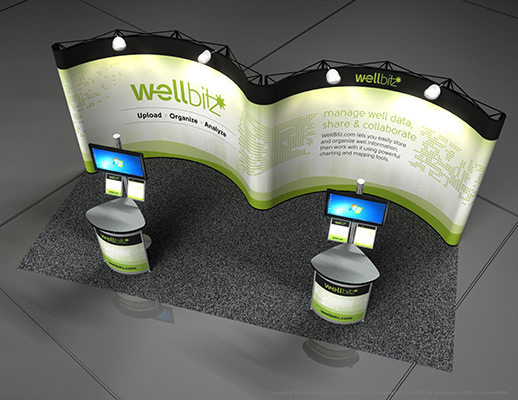 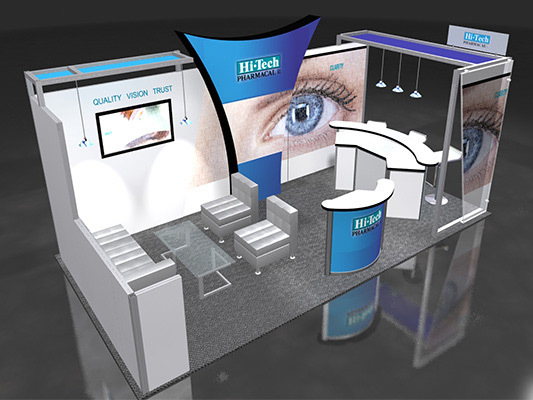 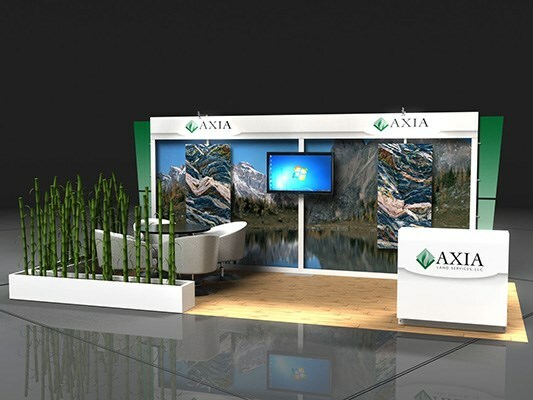 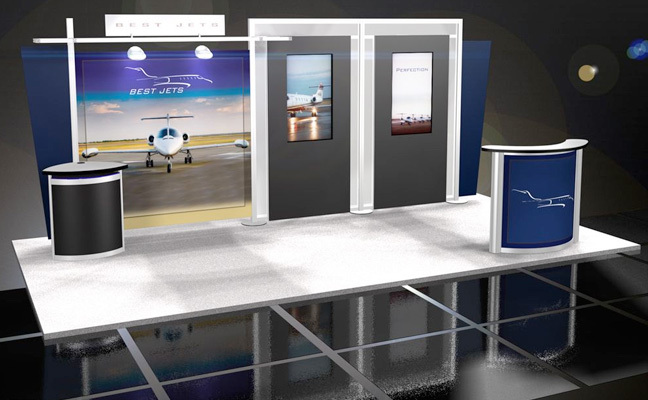 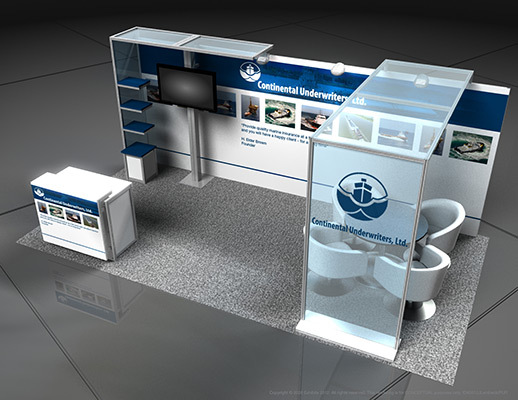 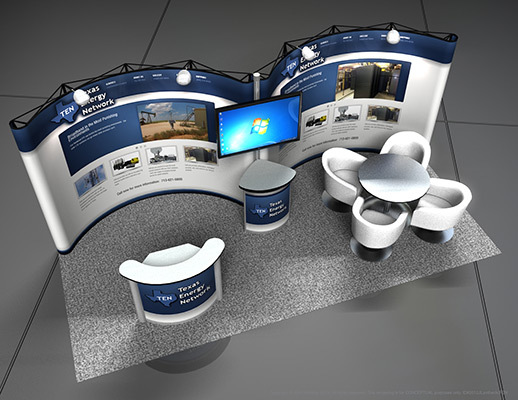 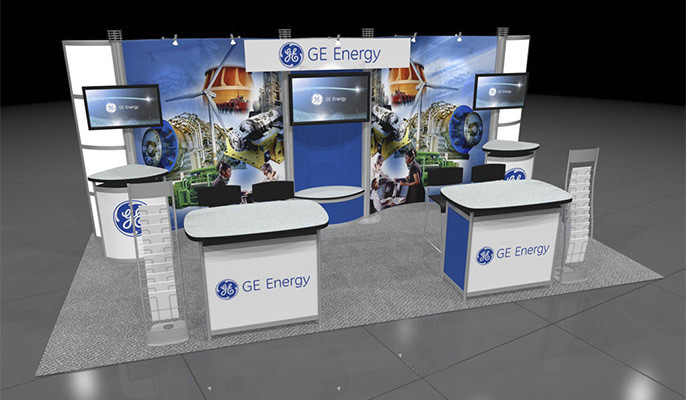 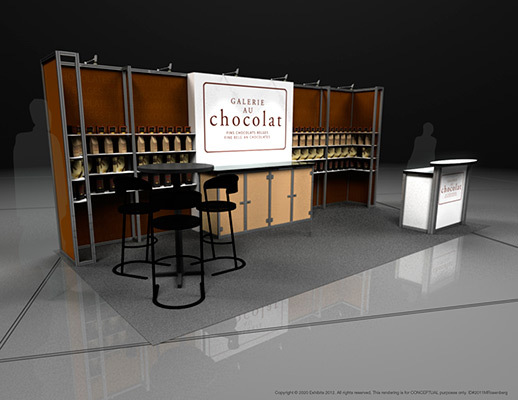 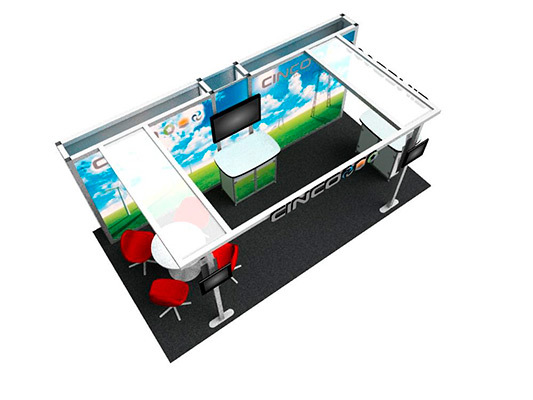 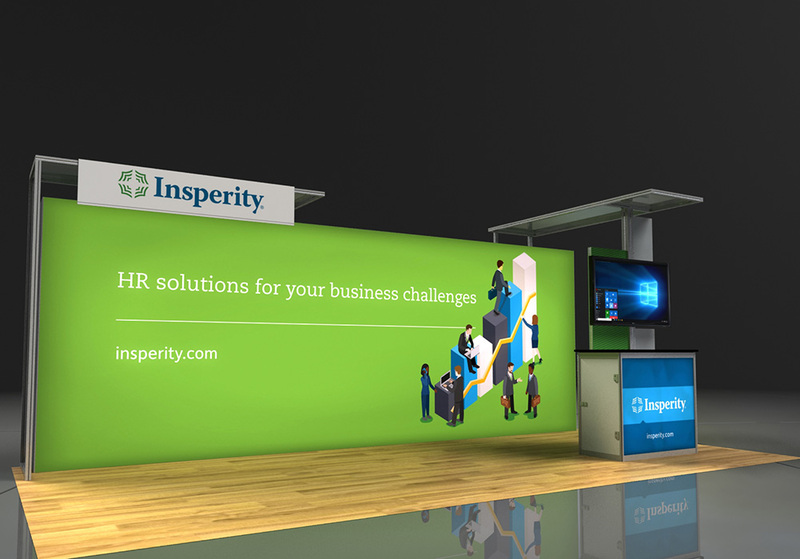 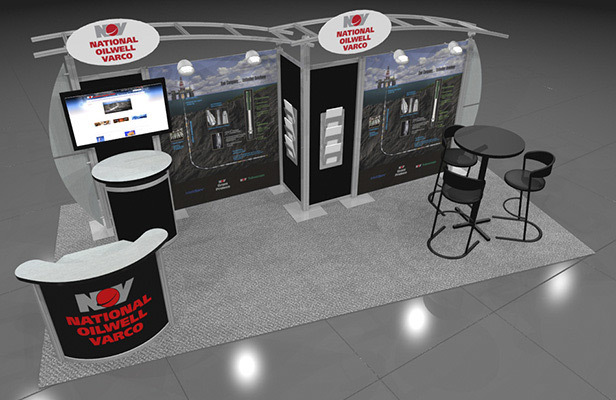 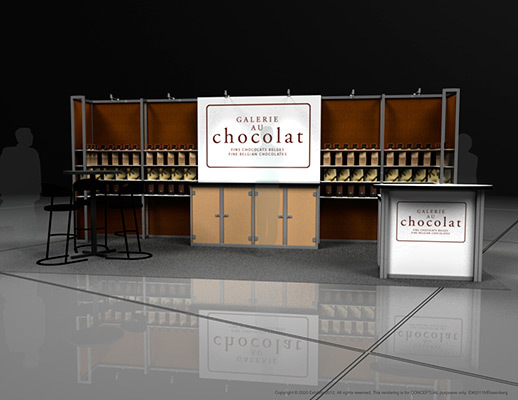 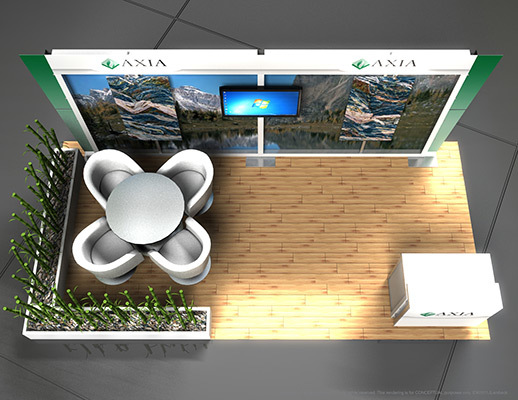 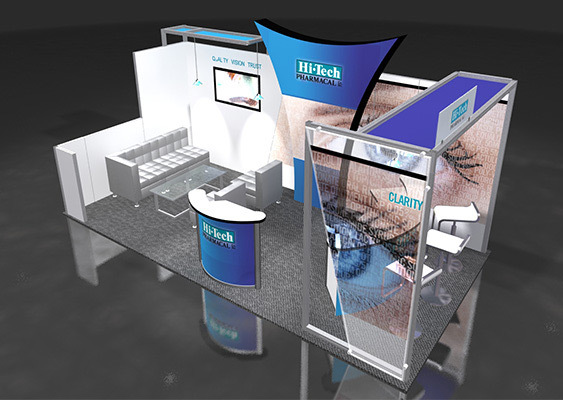 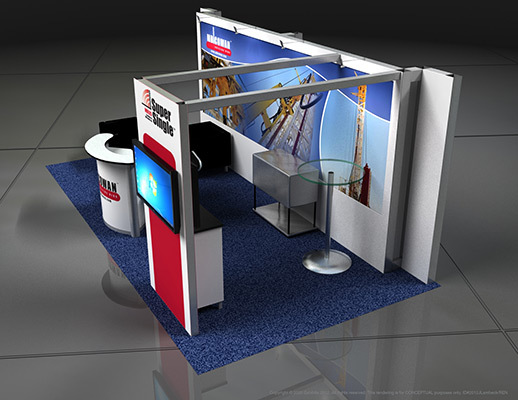 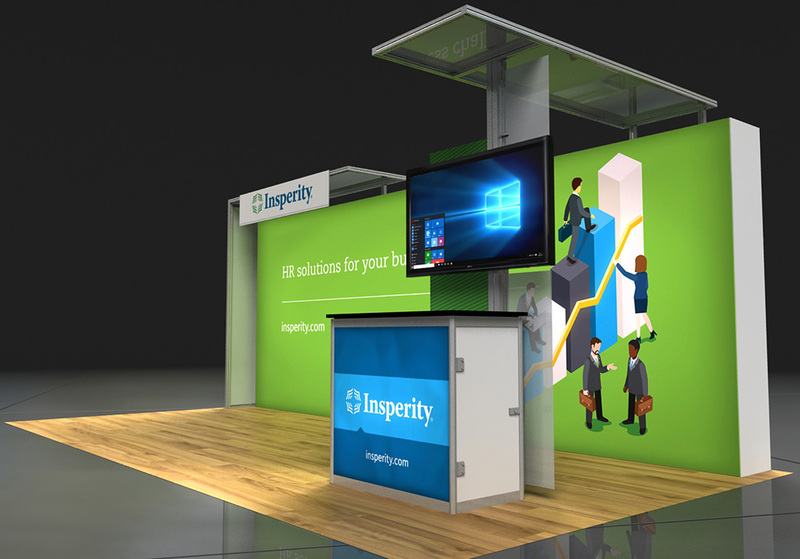 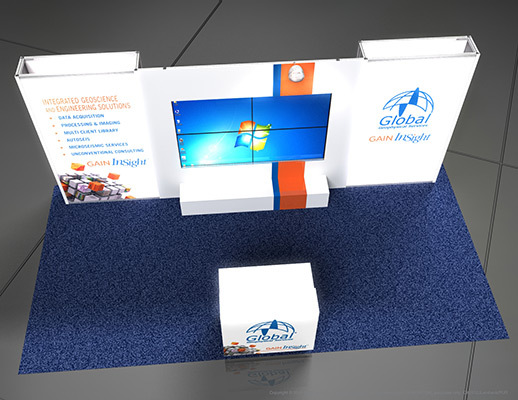 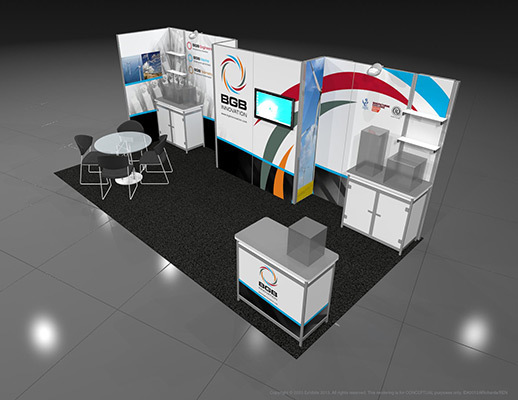 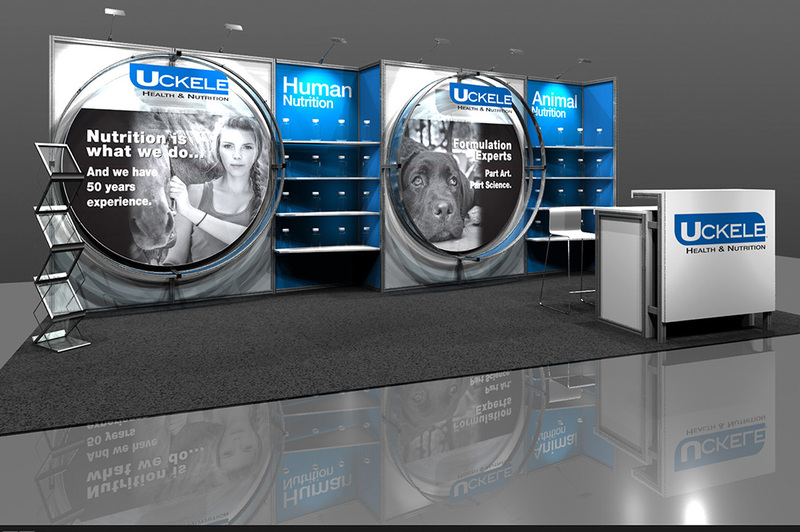 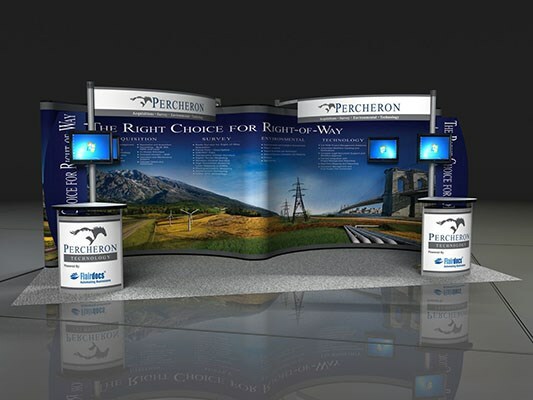 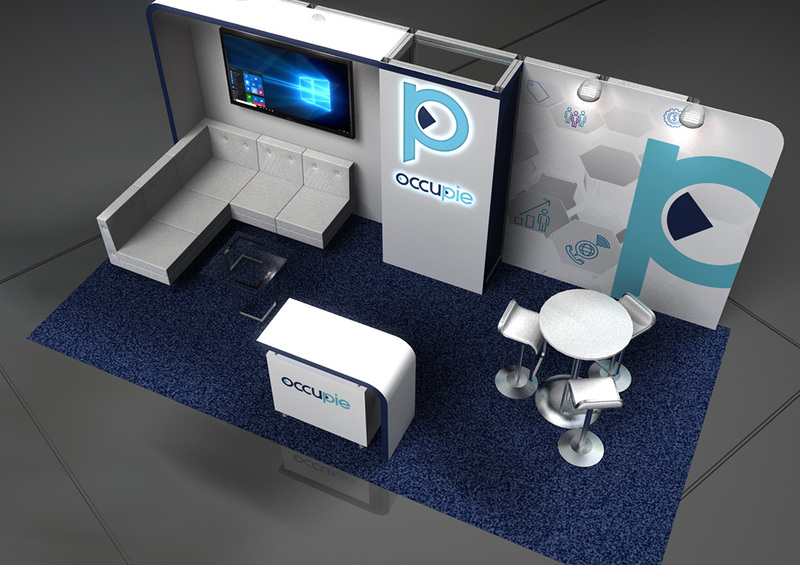 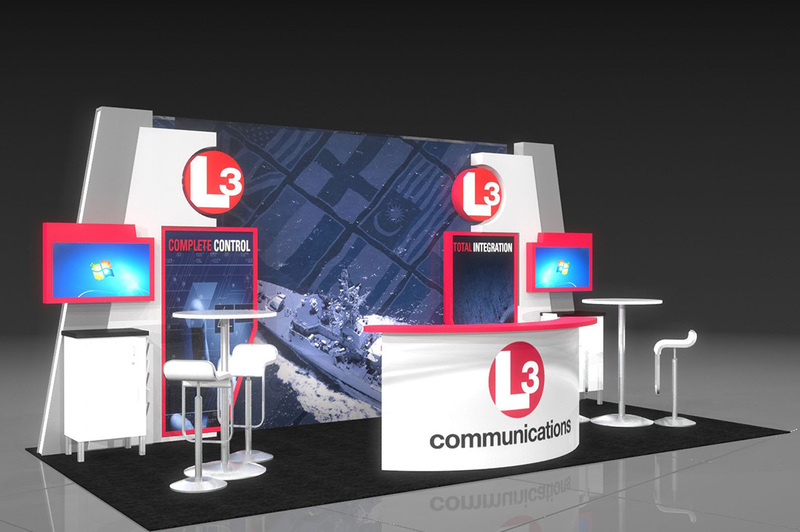 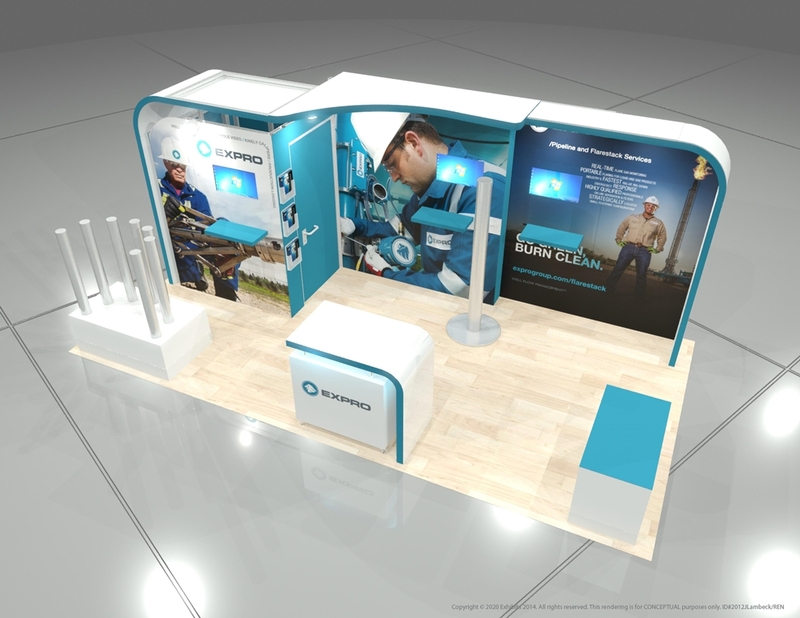 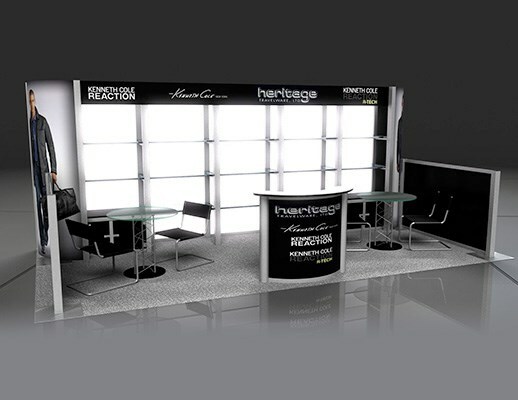 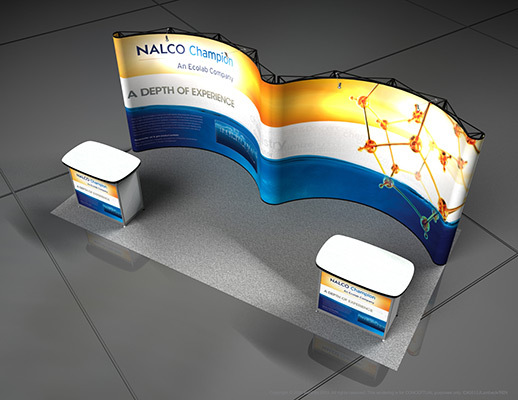 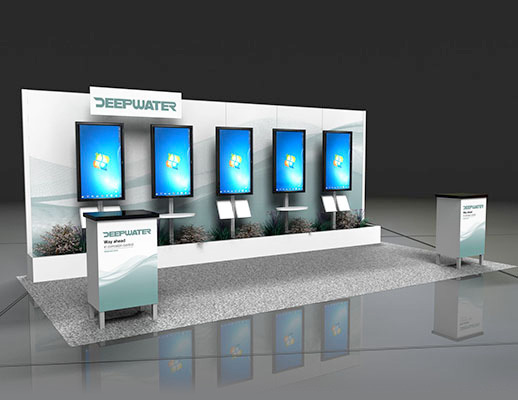 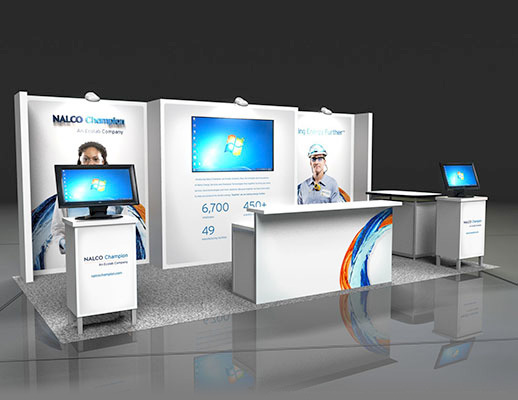 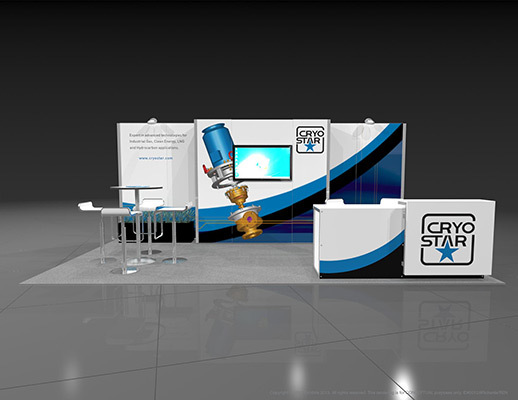 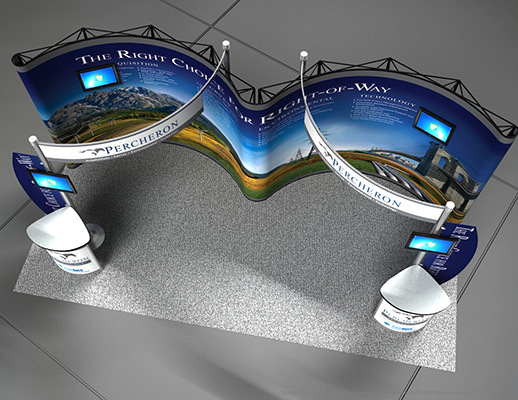 Very artistic and modern themed graphics, this booth allows for creative ways to display their products. 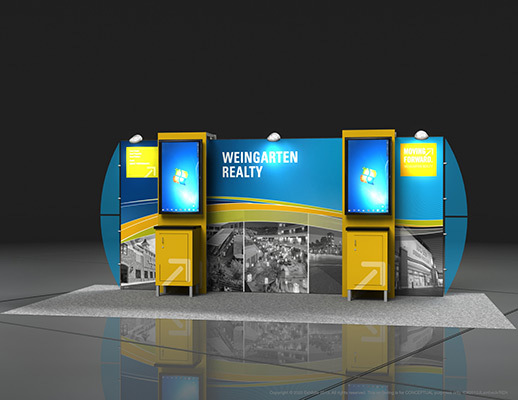 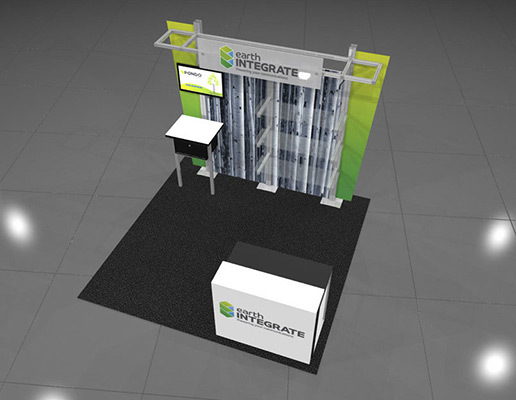 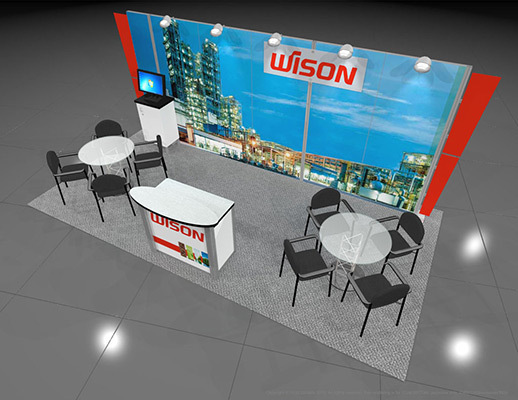 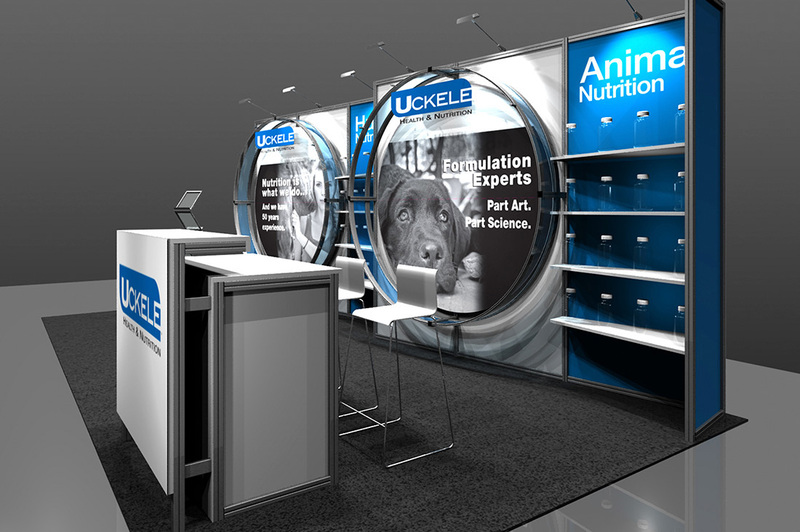 Overhead metal ceiling with three-dimensional logo attached at the top provides a sense of enclosure while maintaining an open feel to the exhibit. 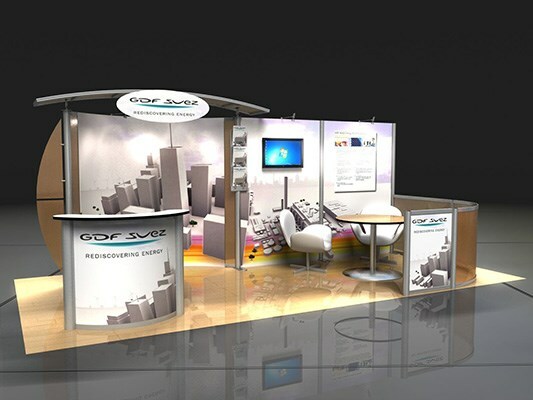 Very strong graphics and a very creative design. 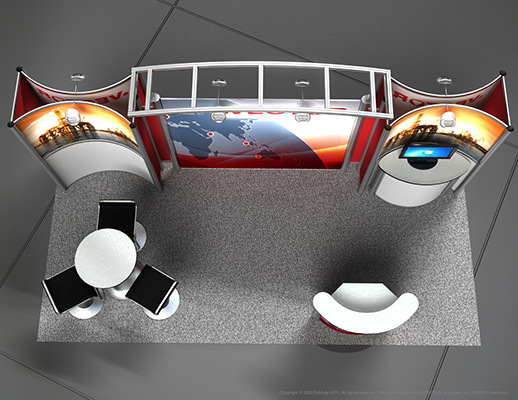 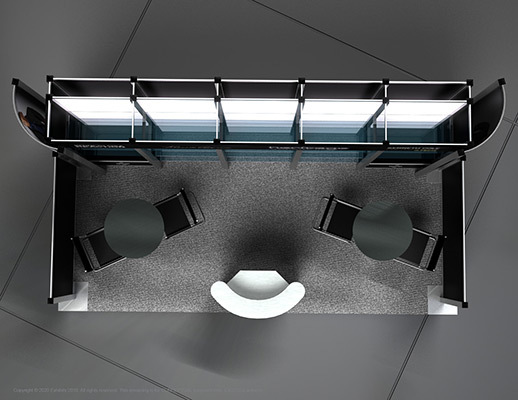 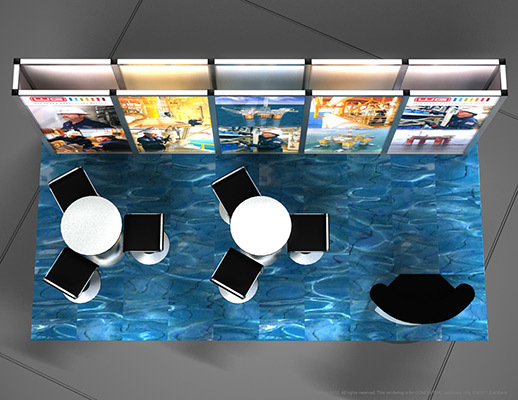 Plenty of storage space, seating area, and stations to provide information to several different groups simultaneously. 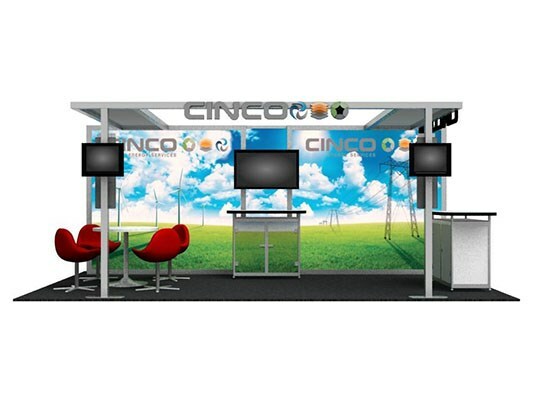 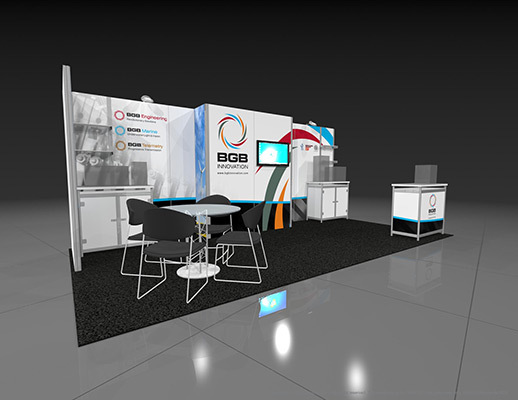 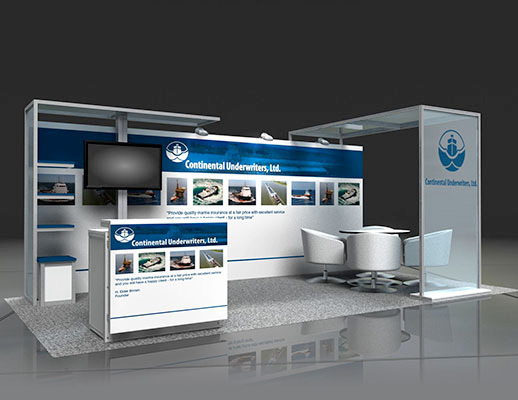 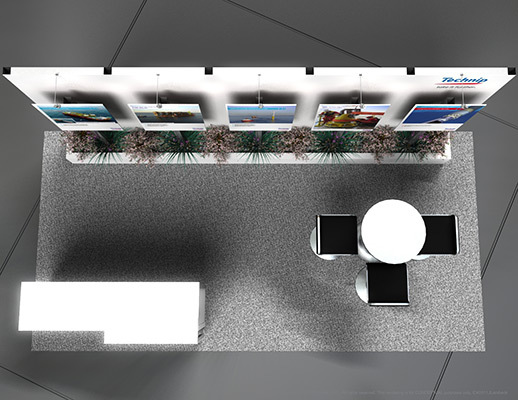 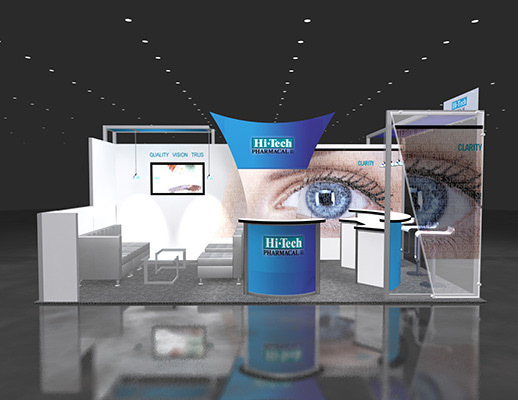 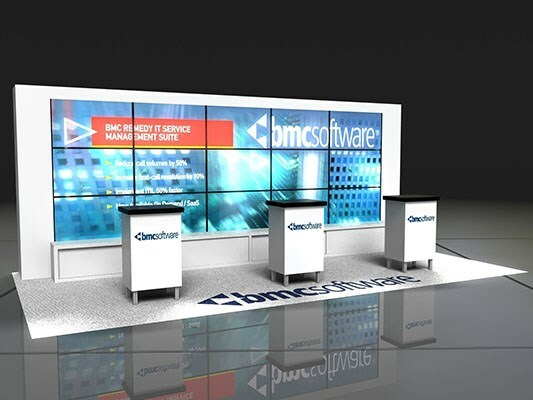 Features include: theme, strong graphic backdrops, dimensional logos, prominent logo, lounge area, semi-private meeting area, storage cabinets, video monitors on exterior, stations, kiosks, overhead metal ceiling, carpeted inlay and large video monitor.